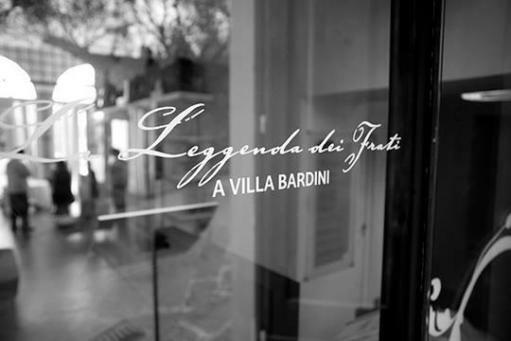 As reported on the official website, La Leggenda dei Frati restaurant is located within the museum complex of Villa Bardini in Florence. The 1600s Villa is surrounded by a beautiful garden with agricultural items, ancient olive trees and fruit trees. Here the vegetable garden available to the restaurant, including fountains and waterfalls, a rare example of English style garden, overlooks the city offering an incredible landscape of Florence. In the main porch the elegantly decorated room of the restaurant merges with the cultural side of the museum hosting the works of art of the Galleria Continua of San Gimignano. So the guests will get a complete multi-sensory and cultural experience, emphasizing, together with the excellence of the art, that of the food. The Leggenda dei Frati cooking is innovative, although steeped in the culinary culture of the territory, with particular attention to the research of raw materials and respect for them.